Spotify may be looking to create an online radio station that would rival Pandora. Two people with knowledge of the situation told Bloomberg that Spotify has already started notifying partners about a new service that would go live before the end of the year. Spotify already offers a radio function within their current service but it’s rather limited and doesn’t allow for the level of customization one can find through Pandora. Furthermore, there are still a number of artists that aren’t on board with the company’s current model (like the Beatles) which could change should they launch a true online radio. For Spotify, it would likely be cheaper to run the radio service as the royalty rates aren’t as expensive. This is because royalty fees are set by the Copyright Royalty Board, part of the Library of Congress. Spotify radio will be free and funded by advertising dollars although like Pandora, the possibility of a premium subscription model wouldn’t be far-fetched. The company will be able to reach more users through a free service with the potential to lure at least some of those users to a paid plan. 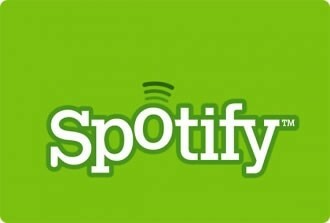 As of November, Spotify had 10 million registered users, 30 percent of which pay a monthly premium for ad-free music. Pandora, on the other hand, has a user base of 125 million people with 49 million logins within the past month. Spotify spokesperson Graham James told Bloomberg that his company had no announcements to share at this time and declined further comment.